Yes, an entire section containing pictures of old fuses, fuse wire and fuse related items. A collection of various miscellaneous assorted fuses, most of which have been used and therefore are probably bust. A fair number of these are not even mains voltage. 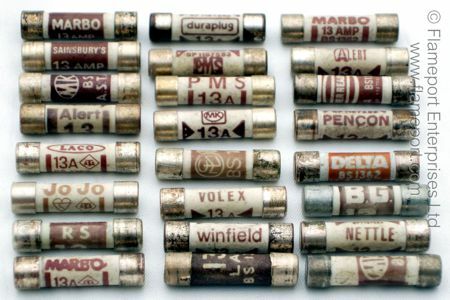 One isn't actually a fuse. No home of the past was complete without one of these pieces of card with various size fuse wires wound onto it. This is a typical example with 5, 15 and 30 amp wires. 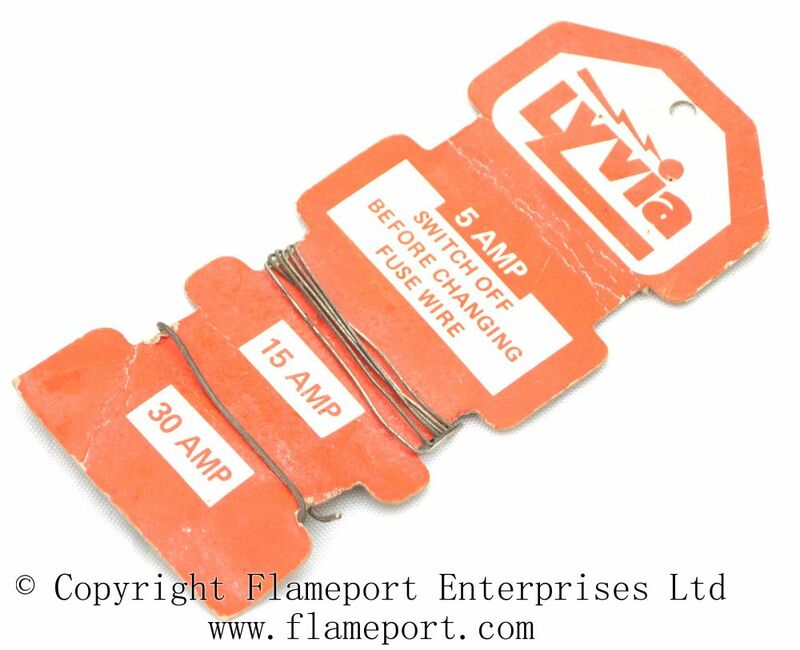 The 5 amp wire is missing, and there is very little 30A wire left. They probably had several dozen 50W downlighters on the 5A lighting circuit, and a rack of 500W halogen floodlights on the already overloaded ring circuit. 20A wire was almost never provided, since the 20A rewireable holders with yellow dots were rarely used. Were people really that silly to try and change fuse wire with the power connected? 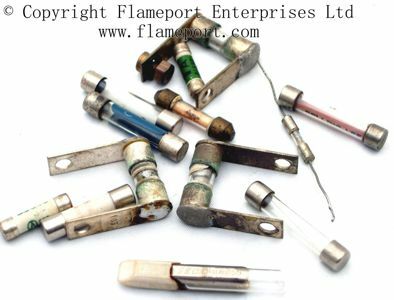 BS1362 fuses are used in BS1363 plugs, and are available in a variety of ratings from 1A to 13A. Those shown here are fairly old, and include examples branded Nettle, BG, MK, Marbo, Bussmann, Alert and Ever Ready. 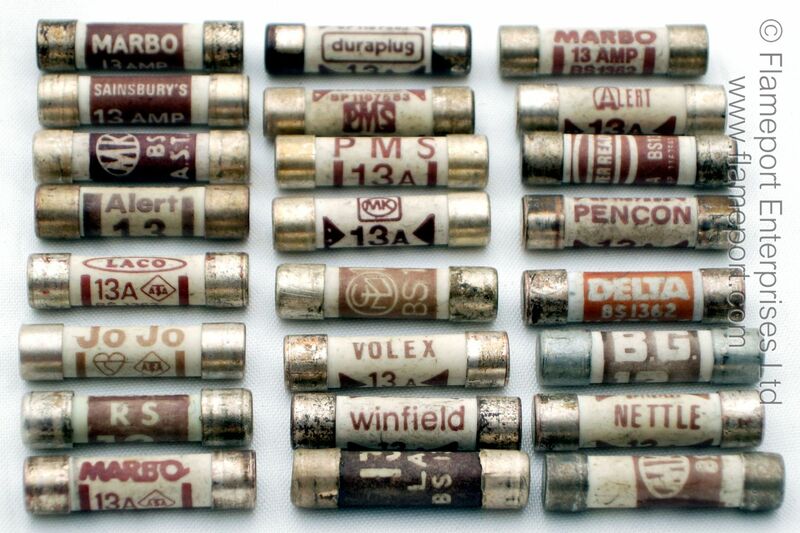 Most of these are 13A types, coloured brown. 5A were generally black, 3A red. 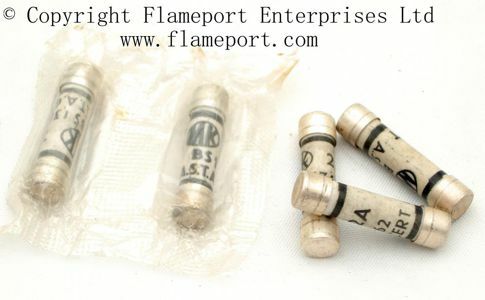 These are also BS1362 fuses, but are a far less common 2 amp type. Two MK ones in the original wrapping, two others without wrapping, and a single Alert branded fuse. 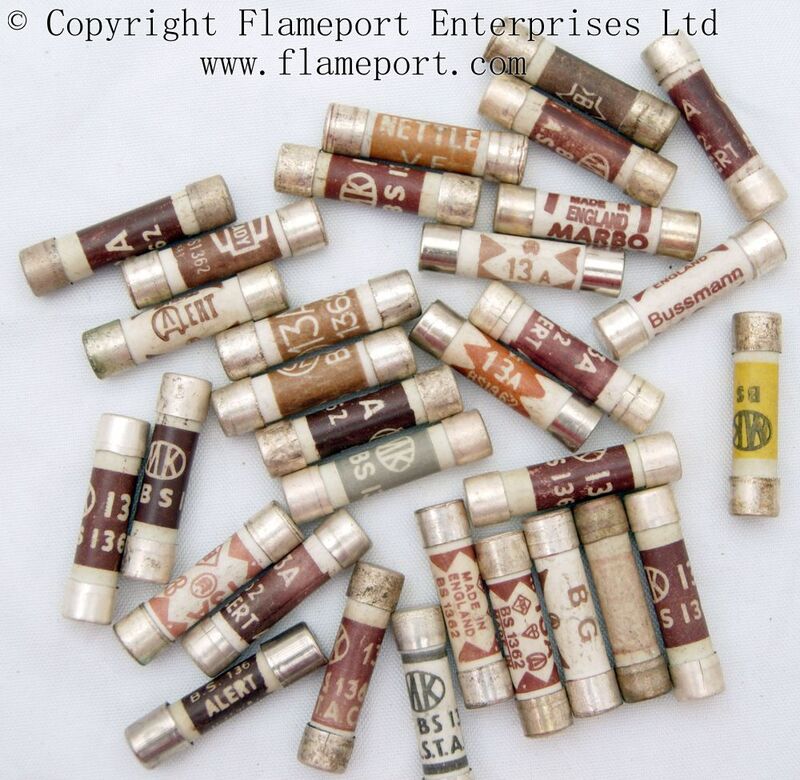 These are 13 amp BS1362 fuses, with a wide range of makes, plenty of which are obsolete. Winfield - A Woolworths brand. Granada - G logo near centre of picture - company which rented televisions and other equipment to people. They also had Granada branded plugs. LAMP - bottom of centre column - unknown?